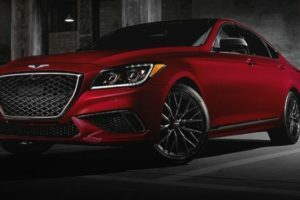 Not that long ago Hyundai decided to release the Genesis luxury brand in order to compete with the likes of Acura or Lincoln. So far the brand has been quite successful and most of their cars have been revised in order to better fit the brand identity. However, they don’t really have that many models available with just 2 cars currently on the market. 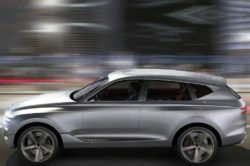 By 2020 the Genesis brand is set to receive another 4 models. 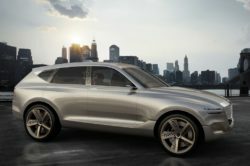 One of these is going to be based on the Genesis GV80 Concept, a mid-size luxury crossover set to compete with all those German crossovers that started the craze. 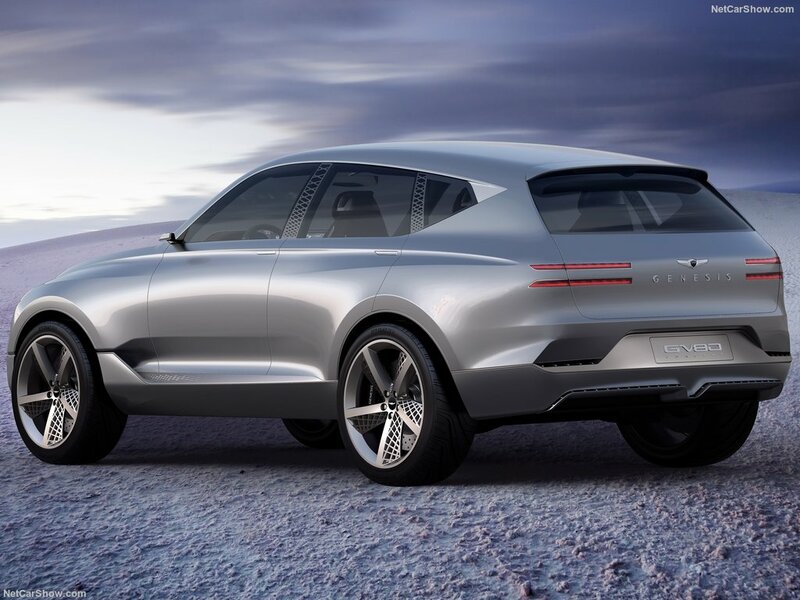 The GV80 concept is actually a hydrogen fuel-cell hybrid but the production car won’t be anything close to that. Instead, expect the production model of the GV80 to feature regular powertrains as well as possibly a hybrid. These will allow it to slot in the $50,000 segment where most of the competition is. However, the higher end models are expected to cost well over that. The design of the concept is not really meant for production either because it would become way too expensive really fast. However, the lead designer did say they are looking at ways to bring this type of design into production. 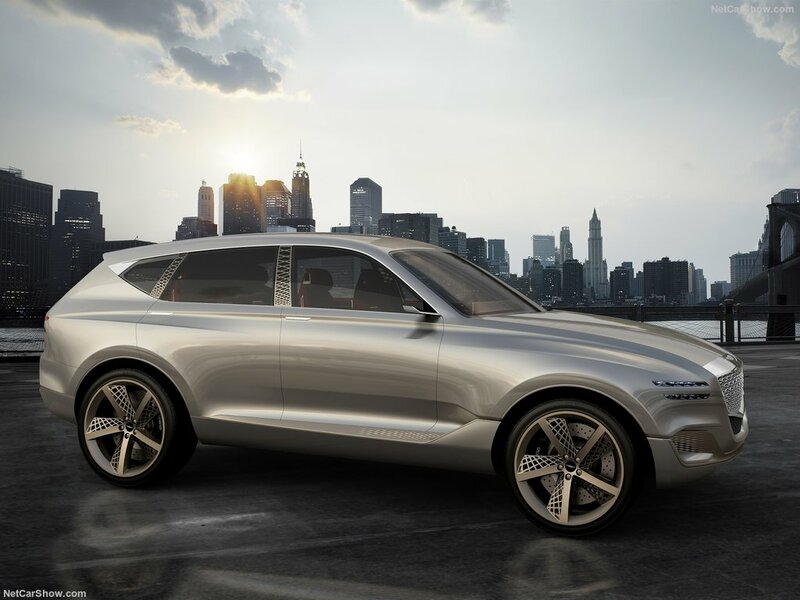 If this is going to happen then Genesis is no longer going to have just average-looking cars out there. 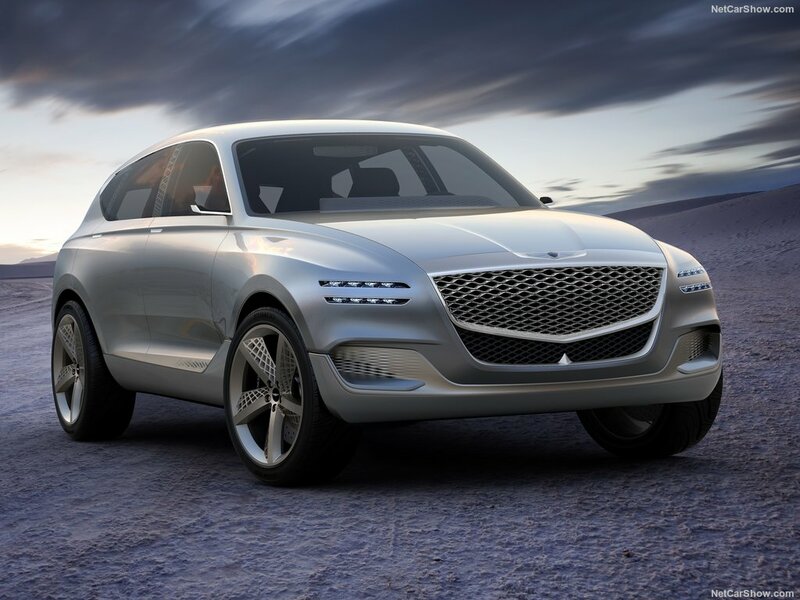 As we said, the Genesis GV80 Concept is a rather interesting looking car. For starters, it doesn’t follow any other design scheme from Genesis’s roster. 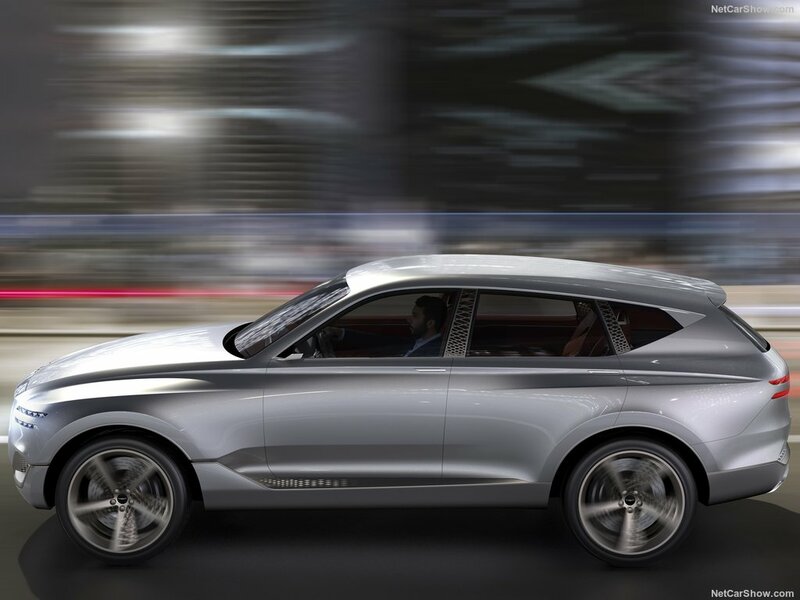 This is great because it means Genesis is ready to move on from the Hyundai-inherited corporate look. In its place, the GV80 comes with a brand new front end and a really athletic look which is set to make it a very impressive car to look at. 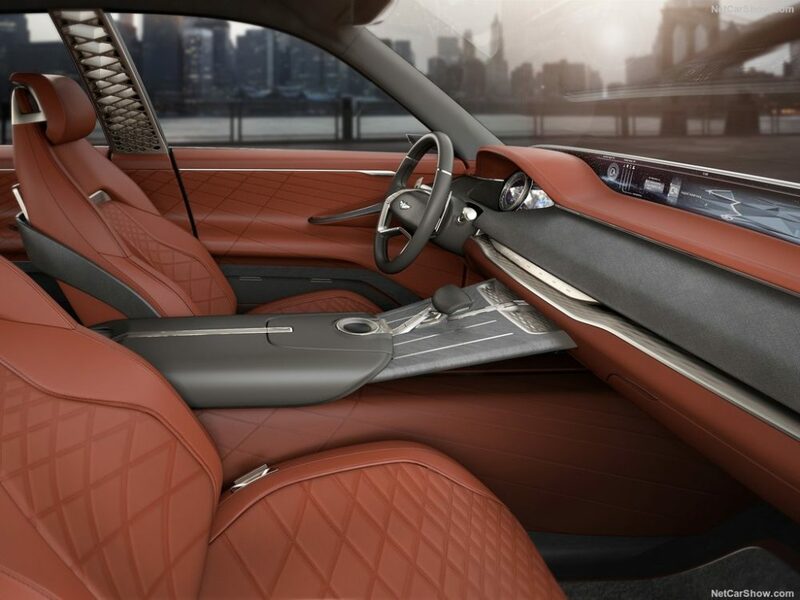 For starters, it has been designed by Bentley’s former lead designer and it shows. The front end with the slim quad-headlights, the large grille and the line that starts from the front end follows the contour of the windows all the way to the back makes for one of the best looking car the company released. The best part about this design is that Genesis is likely going to refine the design in order to make the production car a show-stopper. 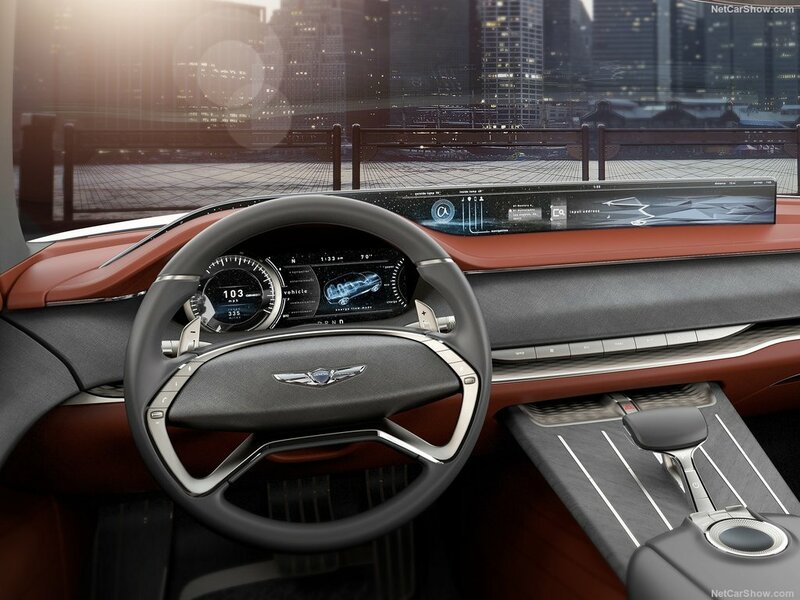 With the new exterior design Genesis also decided to offer an extensive rework inside the cabin. Even though the GV80 is nothing but a concept at this point, its interior looks pretty much ready for production. The entire design scheme is now focused on simplicity which really does elevate the feel inside. The dashboard has a minimal amount of buttons while the really wide screen on top will give the driver all the information it needs. 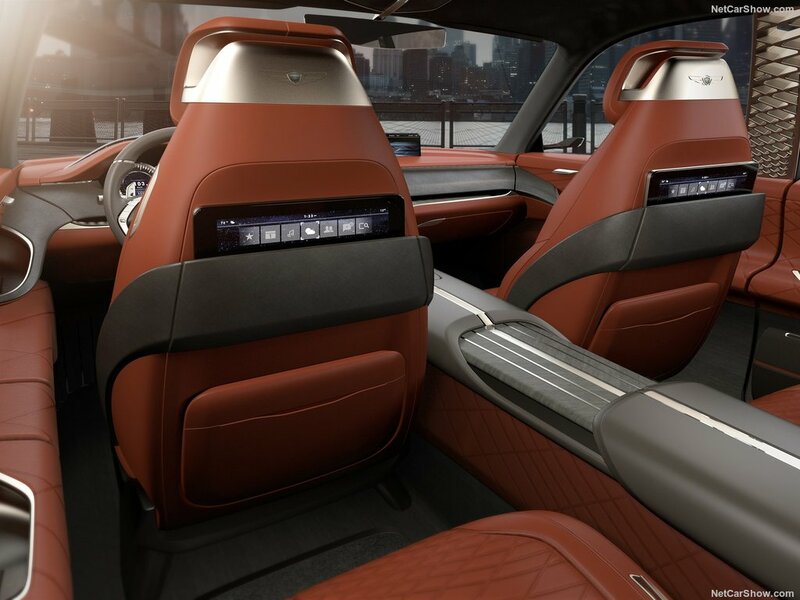 Most of the controls will be put on the center console which will run right across the front and rear seats for a four-door coupe feel. 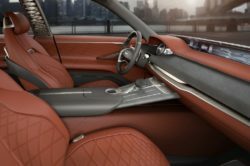 The production version of the Genesis GV80 Concept is more than likely going to feature 5 seats as standard with likely an optional 4 seats model being available. 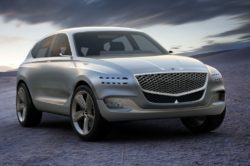 The GV80 Concept boasts a theoretical hybrid powertrain which is highly unlikely to ever go into production anytime soon. 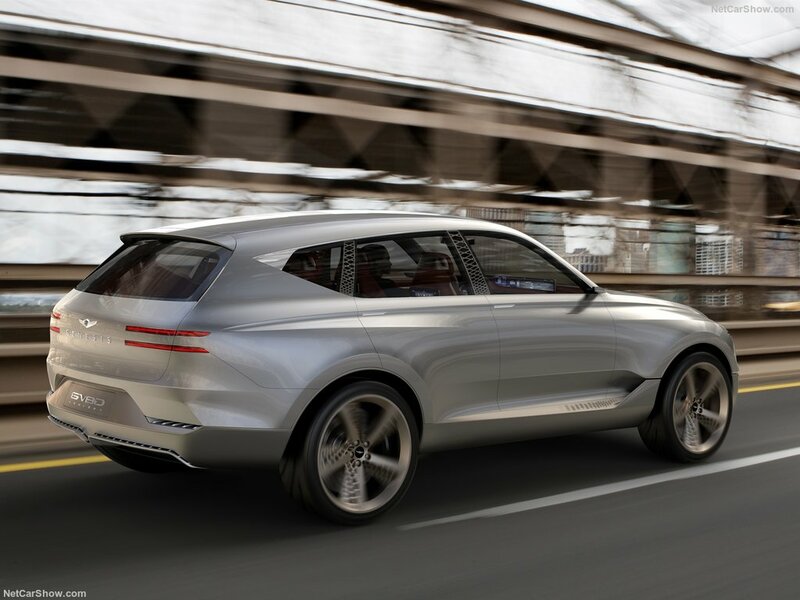 The production version of the car is likely going to be based on their rear wheel drive platform meaning it will likely make use of their already available engines. A base 3.3 liter turbocharged V6 with 365 horsepower is highly possible. Also, a naturally aspirated 5 liter V8 is not out of the question either. Both of these could use Hyundai’s 8 speed automatic which is one of the smoother and faster transmissions available on the market. An optional all wheel drive system is highly possible, especially since the GV80 is a crossover.